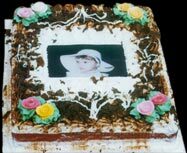 Cake Plaza - A unit of Rajasthan Bakery, Udaipur (Rajasthan). Cake, Pastries, Paties, Khari, Biscuits, Toast. Specialist : Plum, Black Forest & Butter Scotch Cake.